Zurich Middle East has paid out $102m (AED375m) in customer benefits over the past three years, a 27.5% increase compared to the previous period, the company has revealed. 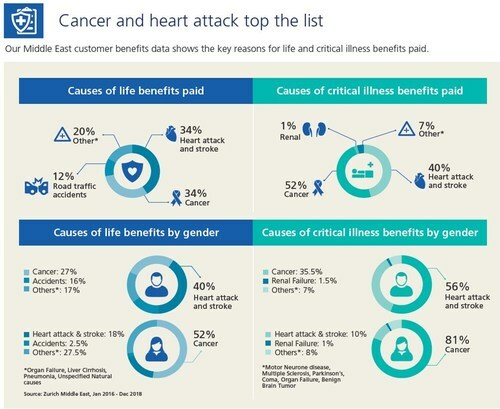 The insurance giant has released its 2019 Customer Benefits Paid Report which shows that cancer (47%) and heart attack (38%) remains the top two health concerns in the Middle East for both life and critical illness claimants. As the region remains underpenetrated, it is key for insurance providers to take ownership to raise attention, and build consideration about the prevalent health risks in the region"
There is a prevalence of health risks within the region and they are occurring at an increasing rate and many claimants are underinsured. As many as 88% of customers who suffered a critical illness had coverage of $200,000/AED735,000 or less. With critical illness claimants being only 50 years on average, this amount is not enough to cover key needs such as family income replacement and post-operative care expenses, highlighting the importance of having adequate levels of financial protection at the outset. 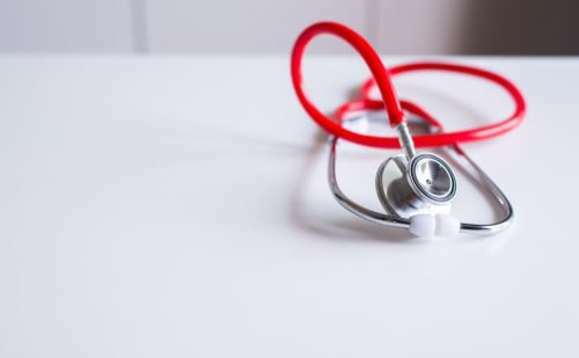 "As the region remains underpenetrated, it is key for insurance providers to take ownership to raise attention, and build consideration about the prevalent health risks in the region," said Walter Jopp, CEO of Zurich Middle East. "Financial protection is paramount, particularly in a region like the Middle East with a significant proportion of working families with dependents. The financial impact must be considered if the key income earners are unable to work."